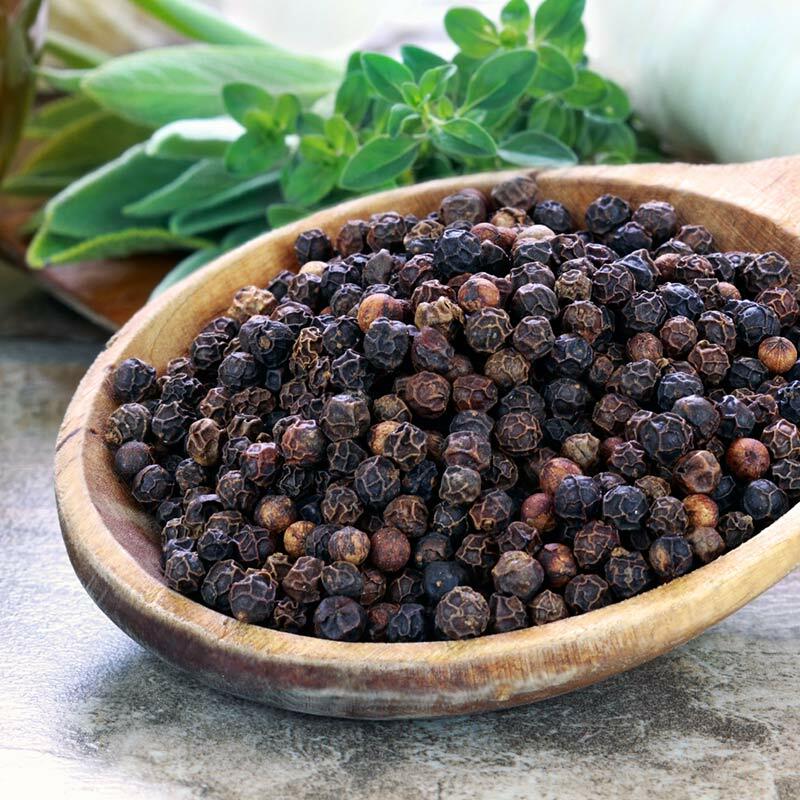 Black pepper is, in many ways, an ideal crop to grow in the ecologically sensitive areas of the Western Ghats: it requires little maintenance, no chemical input, and it grows vertically along existing trees. It can be described as an uncertified organic product. Black pepper is produced from the green (unripe) drupes of the pepper plant. The drupes are dried in the sun for 10 days during which the pepper around the seed shrinks and darkens into a thin, wrinkled black layer. Please be aware that some shops, online and offline, are selling low quality black pepper imported from Vietnam. Our black pepper stock is always locally grown around Kumily Town. Black pepper should be stored in an airtight container in a dark, cool place, but not in a refrigerator. Black pepper can actually last for many years, but will start to lose its flavour after one year.